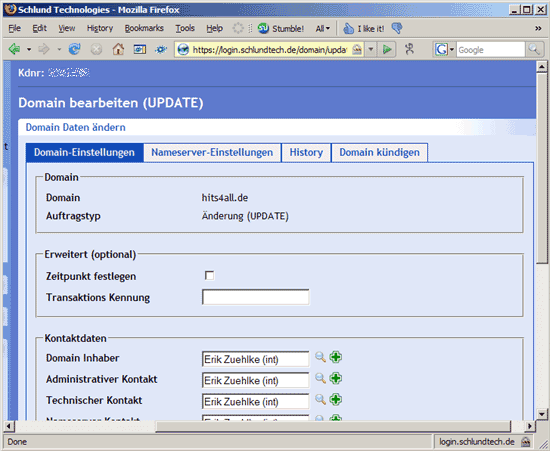 Now that we've configured our hits4all.de zone on ns1.hits4all.de (our ISPConfig server), we must tell our registrar (providerdomain.de) that ns1.hits4all.de is the new primary name server for hits4all.de. 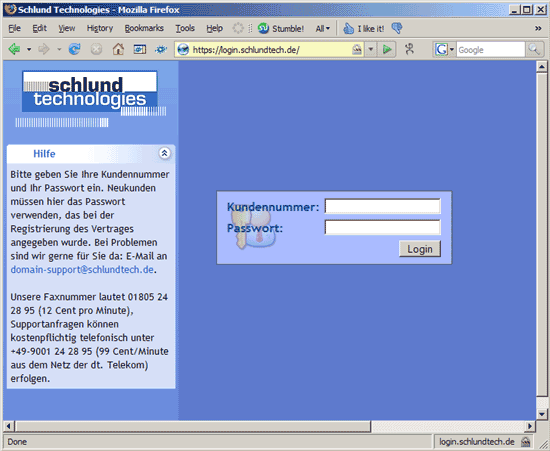 If we don't do that, all DNS queries will continue to go to the current name servers, ns9.schlundtech.de and ns10.schlundtech.de, making the zone we created on the ISPConfig server useless. 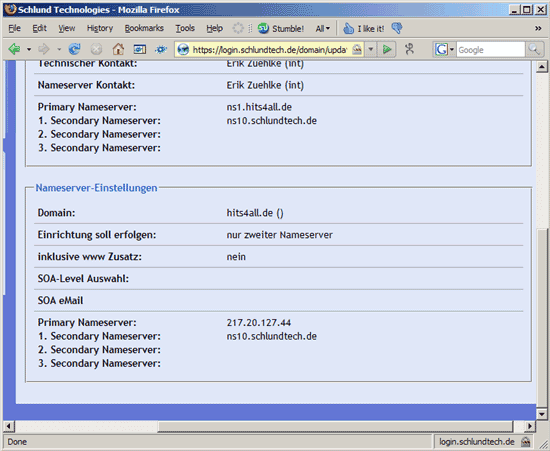 At the bottom of the same page we can now see our new name servers for the hits4all.de domain. 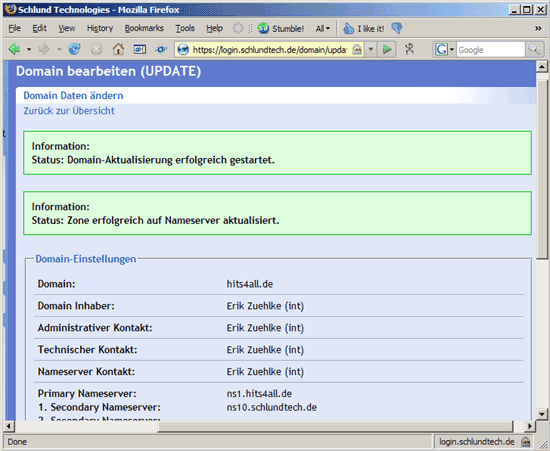 From now on, ns1.hits4all.de is the primary name server, and ns10.schlundtech.de the secondary name server for hits4all.de. 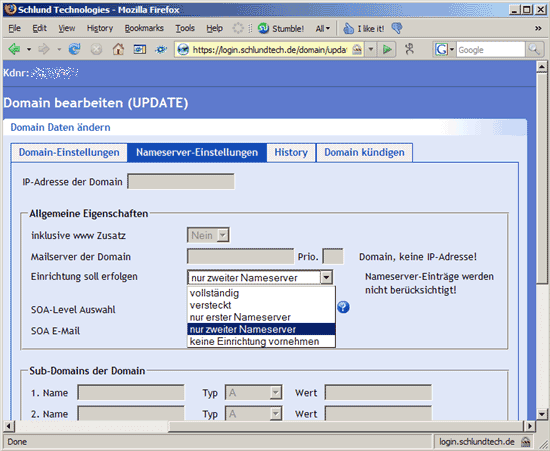 Go daddy does not let me specify a "name server" under "Domain management" by using my name server's "IP" address. It requires you to specify the server name (e.g. ns1.domain.com). When I do that with my server godaddy returns a message saying "server is not registered" I realize that my name server is providing name service for its own domain therefore I need a glue record and godaddy does not support it. What can I do? check bottom left under the host summary in the domain's control panel. 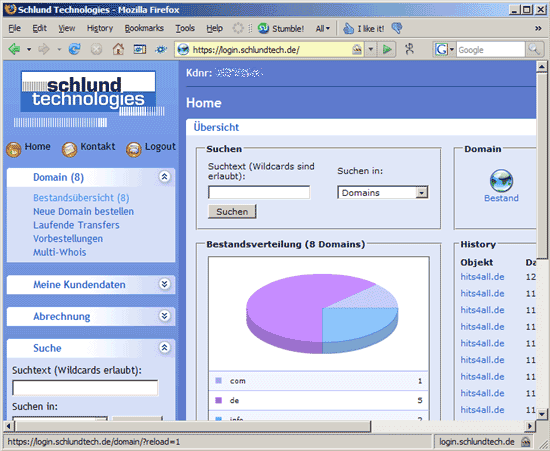 you can add the information there ns1.yourdomain.com and the IP. after that your nameserver will be accepted in GODADDY's panel.